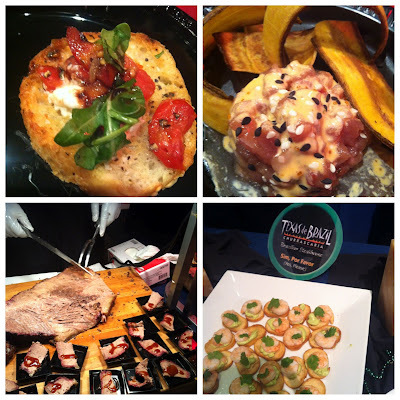 I was honored to attend last nights Dine Tampa Bay kick-off party at A la Carte Pavilion. Dine Tampa Bay officially starts next Friday, but we were able to get a sneak peak of some of the restaurants that will be participating with specially priced three-course meal for dinner ($25, $35 or $45). I have never been to A la Carte Pavilion before. Upon walking in, we found ourselves at the bar (shocker) and shortly after found Katie (She likes Ruffles He likes Truffles) & her husband Justin. After grabbing a table, we took turns visiting all of the various restaurants tables, so we could each try what was offered. I also ran into my friend Rachel (Runners Tales) but with all of the foods to try and take photos of, there was not much room for socializing. My favorite dish of the evening was a tie between Chart House's Tuna Tartare with plantain crisps and Roy's beef short rib with polenta. I was happy to see two of my favorite restaurants in attendance, The Melting Pot who served chocolate fondue and Texas de Brazil who had a shrimp croistini with an avocado spread. 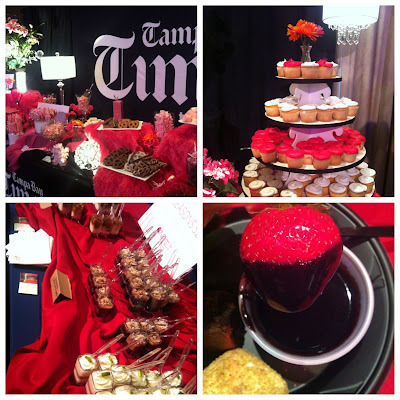 Tampa Bay Times sponsored a candy bar, which was such an excellent touch to the event. 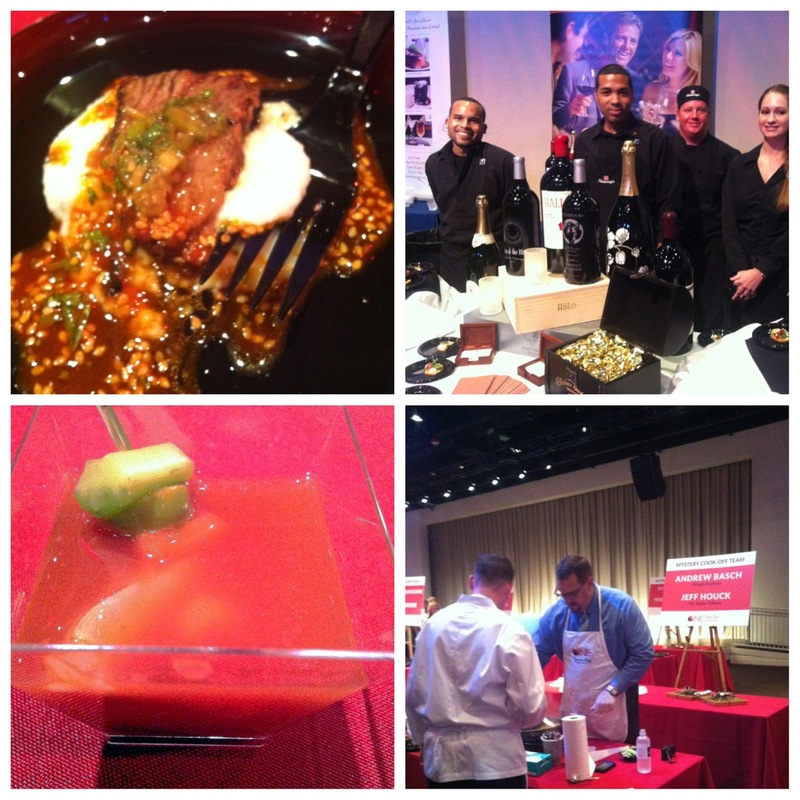 Another amazing show put on by the team at Dine Tampa Bay! There was a celebrity cook off with local chef's and media personalities, former NFL players, etc. The hitch was that the chef's were not allowed to touch the food, they were there to instruct the guest chef. This was done Food Network Chopped style where they were given secret ingredients in a brown paper bag. I snagged a shot of Chef Andrew Bausch Pelagia Trattoria and his cooking partner, Jeff Houck, which you can see above. The ingredients given were a mix of ingredients ranging from Minute rice, steak, broccoli, marshmallow fluff, and preserves. They had 20 minutes to cook their meal. The winners were Ryan Nece and Chef Mike Swords from Irish 31. Neither Katie or I knew what was being cooked and Ryan graciously responded to us on twitter this morning. I would really like to know what a peach nutmeg palm tree is!